I have no idea how I did this, but I managed to used the same quote… I guess I was distracted. Anyway, it’s done. So, let’s just call it a smaller size. It is smaller than my usual bookmarks, which is great for smaller books. Books come in all sizes anyway. Some sort of glue. I used snail adhesive and liquid glue. I started by stamping the border from the Flowers2share stamp set, with Pearlescent Lavender ink on the piece of pink cardstock measuring 15cm x 4cm. 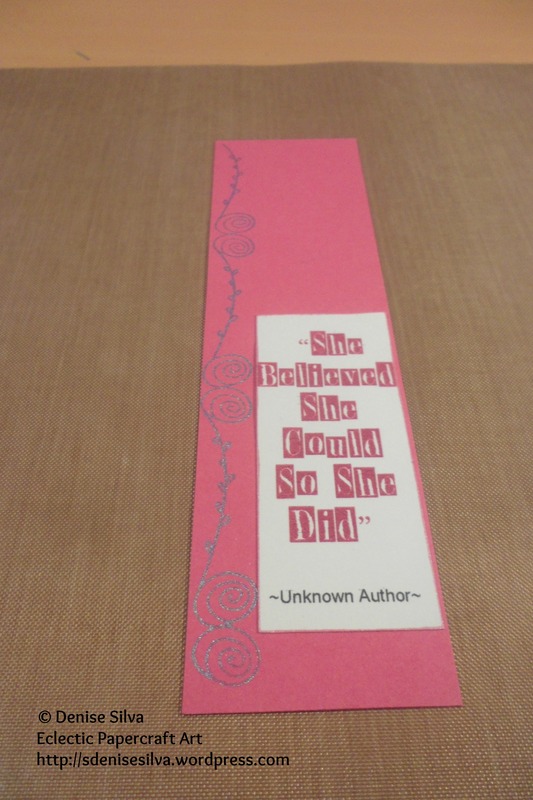 I then trimmed my quote, inked the edges with Pearlescent Orchid, and attached it to my first layer. 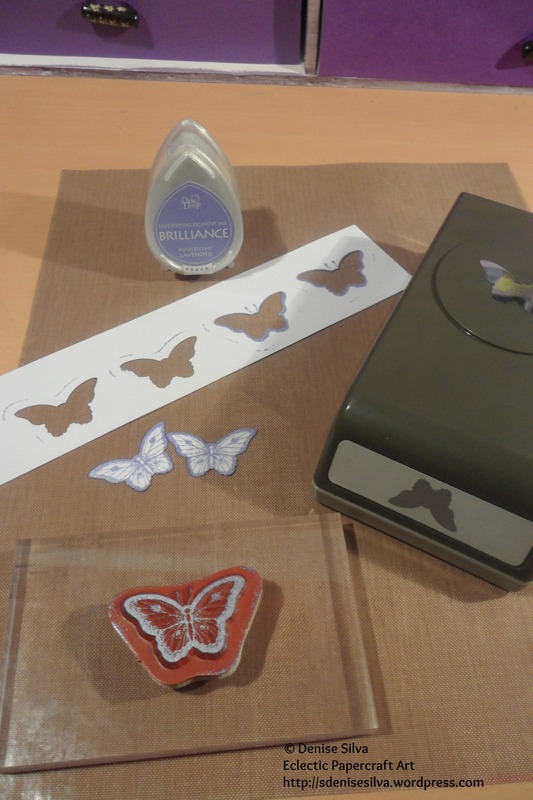 Using a strip of scrap paper, I stamped one of the small butterflies from the Papillon Potpourri stamp set, with the same Pearlescent Lavender ink. 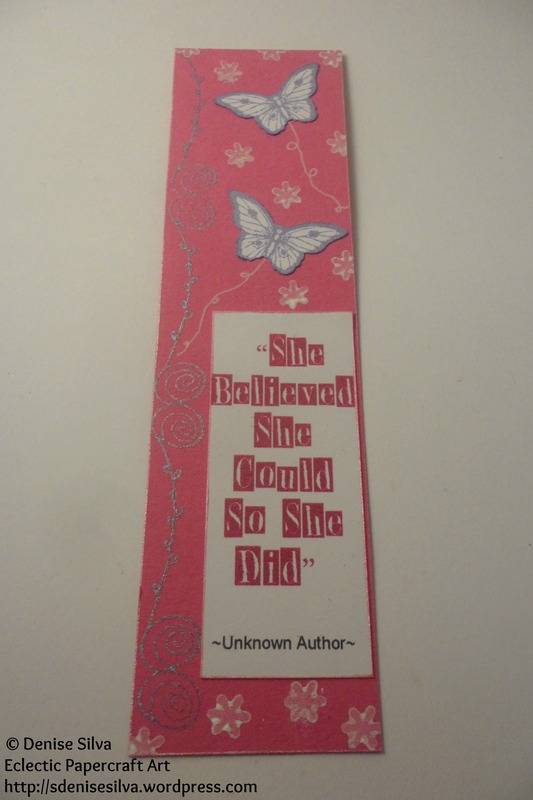 I dried it with my heat gun, and punched them out with the Bitty Butterfly punch. I glued the butterflies, doodling the movements with a white gel pen. 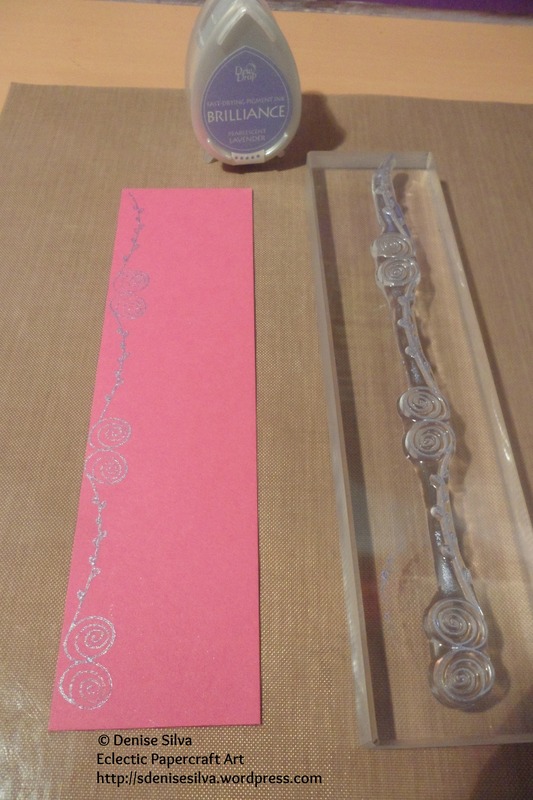 Then, I grabbed a tiny flower from the Daisies4you stamp set, stamping it with Whisper White ink. To finish I inked the edges with the Pearlescent Orchid, and I love the result!